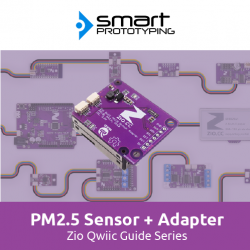 This compact PM (particulate matter) sensor can give you the rate of PM in 1.0, 2.5 and 10.0 in the air. The sensor has different kind of interface version, we picked this I2C version and designed a Qwiic adapter board. With this adapter board you don’t need to do any soldering and jumper wire connecting. This sensor uses laser scattering to detect suspending particles in the air, then records the scattering light data to output the measurements in real-time. The microprocessor calculates equivalent particle diameter and the number of particles with different diameter per unit volume. 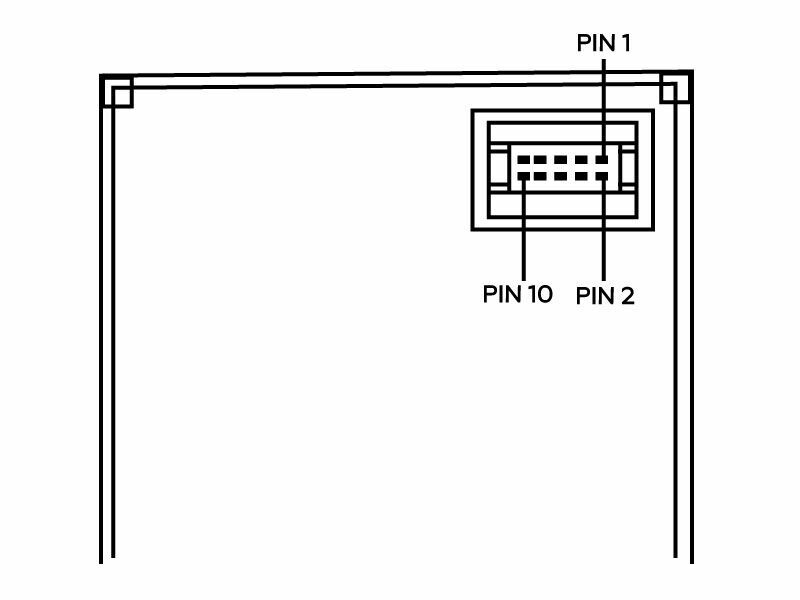 The sensor has a 1.27mm 2x5 pin female header with the package, it is not that easy for beginners to use it. So we highly recommend to use our Qwiic adapter board. Note 1: The fan on the sensor needs 5V to drive it. Note 2: The sensor needs to take around 30s to warm up to get the accurate data. Operation Temperature: -10 to 60 degrees Celsius.